Hibakusha Stories is an initiative of Youth Arts New York, a Non-Governmental Organization (NGO) affiliated with the United Nations Department of Public Information whose mission is to provide experiences in the arts and sciences that engage youth in building a peaceful and sustainable future. We sponsor in-class educational programs, after-school workshops led by master artists, hands-on ecological projects and field trips. We create safe environments where underserved New York City public school students can learn about their responsibilities as members of civil society and as stewards of our planet. In addition, Youth Arts seeks to identify, develop and support teachers and administrators who promote peace and sustainability through multicultural, interdisciplinary curriculum for the young people of New York City. 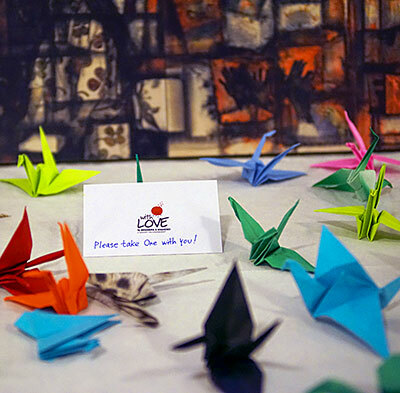 Hibakusha Stories began in October of 2008 when Youth Arts was approached by the Peace Boat Hibakusha Project to bring atomic bomb survivors to New York City high schools to share their testimony of survival and hope. Peace Boat is a Japan-based NGO that works to promote peace, human rights, sustainable development and respect for the environment. Peace Boat carries out its main activities through a chartered passenger ship that travels around the world. 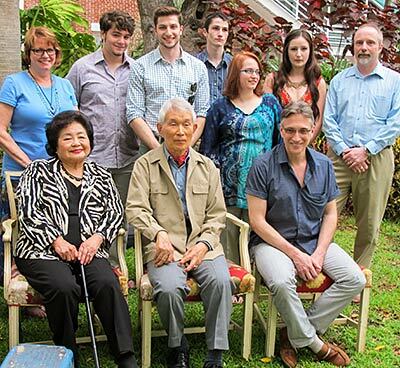 In 2008 they brought over 100 atomic bomb survivors on a global voyage to share their testimony. In May of 2009, we were approached by Mayors for Peace to again sponsor hibakusha in NYC schools. Mayors for Peace is an NGO initiated by the Mayors of Hiroshima and Nagasaki to promote the solidarity of cities to work for the total abolition of nuclear weapons in a way that transcends national borders. Current membership stands at 7,295 cities in 162 regions and countries. 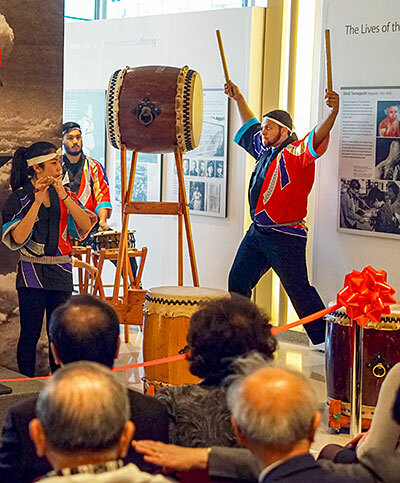 Inspired by the successful programming with Peace Boat and Mayors for Peace, Robert Croonquist and Kathleen Sullivan decided to take the initiative on themselves and created Hibakusha Stories. 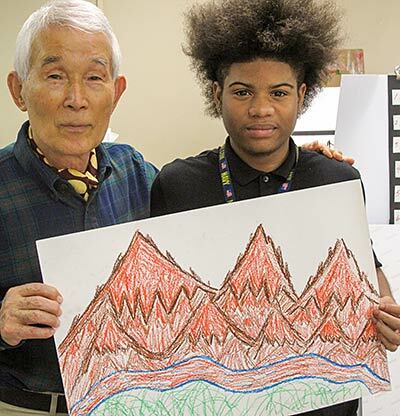 For the past decade, we have brought atomic bomb survivors, living witnesses to the dawn of the nuclear age, into the classrooms and lives of New York City youth. Our team of volunteers and consultants includes teachers, playwrights, actors, composers, musicians, visual artists, graphic designers, filmmakers, architects and international civil servants. Many of the Hibakusha Stories members are bilingual Japanese living in New York. Most of our volunteers have never before worked on the nuclear disarmament issue. We are therefore building a new community of disarmament activists in New York City with a reach out into the world. Since 2008, Hibakusha Stories has visited well over 100 high schools primarily in the five boroughs of New York City, reaching more than 32,000 students through in-class testimony and interactive disarmament education workshops, uniquely offering intergenerational and cross-cultural peace education at its finest. We have also facilitated programs in Key West, Florida; Tulsa, Oklahoma; Vienna, Austria; Berlin, Dublin, Edinburgh and London. To our knowledge, Hibakusha Stories is the only project in the whole of the United States whose sole purpose is to highlight atomic bomb testimony through the arts, inspiring action for nuclear disarmament. We are proud to be a partner organization of the International Campaign to Abolish Nuclear Weapons, and have supported hibakusha participation in international gatherings and conferences in Mexico, Austria, Ireland, Germany, England, Scotland, and at the United Nations in Geneva and New York.